Long before Ashleigh Dueker embarked on her MBA she worked for the United States Peace Corps in Mali, West Africa. While there, she brought together 1400 people in a shared vision to implement 347 water sanitation projects, reaching 99% of village households and aiding the reduction of standing water, reducing the amount of water borne diseases—she also initiated a water pump repair program that brought clean drinking water to 40,000 individuals amid civil war and a regional famine crisis. Now working as an assistant manager for Grant Thornton, the opportunity for career change was just a matter of combining her MBA education at Lancaster University Management School—a program ranked among the top 10 in the UK by the Financial Times in 2018—with the school’s career advancement program. “They hired an external company to improve our presentation skills in real time, [and] it put us on the spot over and over again […] so that [means I now] think on my feet when faced with something I’m not expecting—it was very intensive, nerve wracking,” Ashleigh says. As part of these workshops students are told off-the-cuff that they have 30 seconds until they have to present on a certain topic in front of their classmates, throwing them out of their comfort zones. “You present all the time in business so it’s critical to be able to build a quick rapport with people,” adds Ashleigh. It was indeed that ability to build chemistry quickly that allowed Ashleigh to change role and launch a career with Grant Thornton after graduating—she met their consulting team at a London networking lunch organized for Lancaster MBAs, unearthing hints on what they look for during the recruitment process. After Ashleigh discovered she had made it through a number of interview stages with Grant Thornton, the Lancaster MBA careers team arranged for a specialist to coach her one-to-one on the final, case study element of the interview process— indeed throughout the MBA a team of expert career advisors also help students tailor their CVs for specific roles and develop their interview technique. 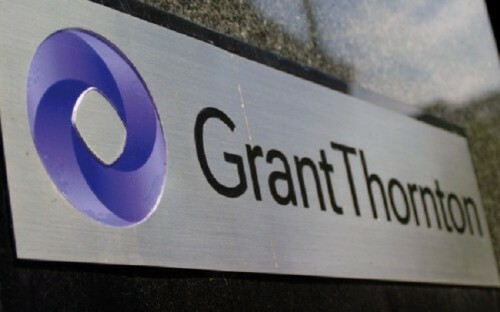 Other than Grant Thornton, the biannual London networking days have attracted companies like Gartner and L’Oréal—students also use these events to secure other opportunities such as summer internships for the end of the program. The opportunity to network is vital for current students, as they discover what companies are looking for, what skills they may be lacking, and what values are key to certain sectors and industries. They delve into the world of banking when they take the Finance and Macro-economics modules in the heart of London, meeting RBS and the Bank of England in the process—a FinTech panel event also draws in prominent speakers from Google and EY. For Tim Lewis, another MBA graduate from Lancaster School of Management, the variety of industry and networking opportunities is the Lancaster MBA in a nutshell. After leaving his role in America at TripAdvisor, Tim launched a new career to become the managing director of Europe for travel company Contiki Holidays. Working across the continent, the holistic exposure to various industries, personalities, and cultures, means the Lancaster MBA set Tim up to seamlessly transition into his new role.